"How to Ace the CDL Test Without Weeks of Endless Studying!" 1. 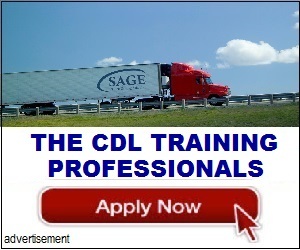 Excellent manual written by experts tells you everything you need to know to ace the CDL test. 2. 100% Money Back Guarantee -- if you don't pass the test, or don't like the materials for ANY reason, all of your money will be refunded -- no questions asked. 3. Easy to use, effective and comprehensive. 4. 6 FREE Bonuses including practice tests and many tools to help you succeed as a new driver. 5. Simple: it really, really works. We think this is great because there is NO RISK and nothing to lose. A great introduction to the trucking industry! We provide all the information you need to decide if this profession is for you. Common sense answers to your questions. What's it like to drive a truck? Is the outlook for employment good? What are the qualifications to be a driver? How is a driver paid, and what are the wages and benefits? Can I go into business myself? We'll tell you all the current news about driver training and professional driving schools across the country, including industry and government news, special events, job fairs, open houses, new training programs, employer-paid training, graduate success stories, school awards, recent certification or accreditation, training grants, new regulations and other important school announcements. Click Here COMING SOON! Schools, Carriers & Students: Submit News!